Intuitive Educator, Lynn M. Bunch talks about forgiveness, apologies, judgment, and discernment. She carefully articulates and defines all four concepts, so even the most casual of listener’s can begin to heal themselves and their interpersonal relationships with others with love, light, and spirit. The podcast also explores the function of apologies on culture and societal levels, and why we often demand sincerity from public figures after learning about their alleged scandals. Lynn and Mike behind the scenes recording our weekly podcast episodes. 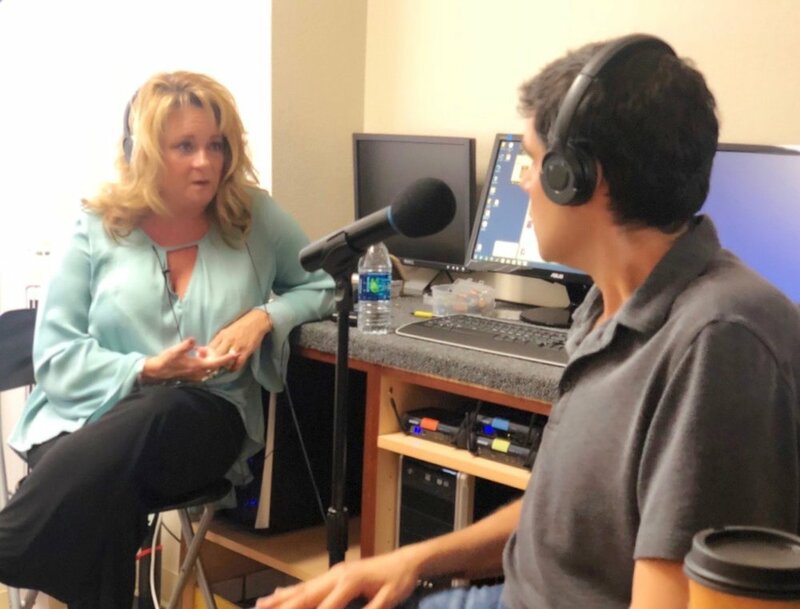 Intuitive Educator, Lynn M. Bunch talks with Intuitive Development’s own Jayd Hernandez about overcoming extreme adversity with intution. Jayd, who recently gave birth to her first son, talks about how important willingness is if you want to use intuition to create positive outcomes in your life. Jayd explains how Lynn and her curriculum helped her overcome a childhood of abuse and neglect, despite periods of self-doubt, fear, and waning willingness. A very candid and heartfelt conversation - enjoy! Long-time Graduate of Mastering Intuitive Living, Jayd Hernandez stops by the studio with her 2-week year old Son, Jett.